Official Art Season 5. Even though I do prefer the old art, I'm still pretty excited for this new season :). 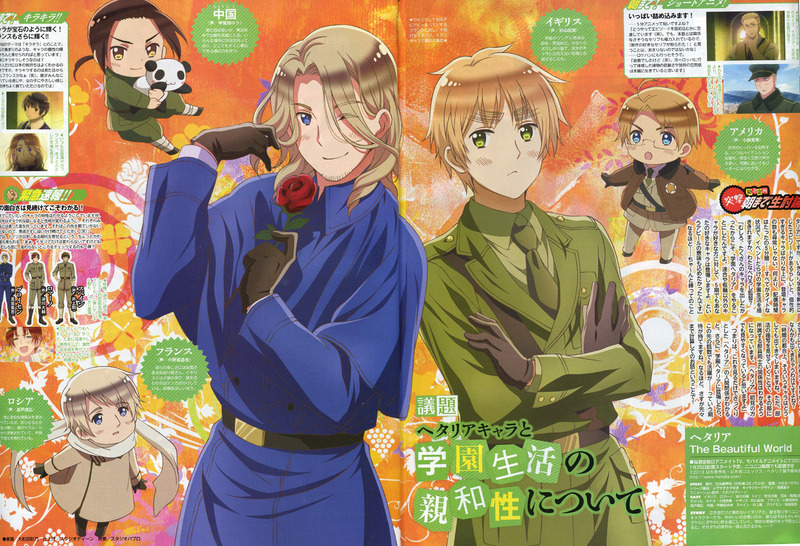 HD Wallpaper and background images in the Hetalia club tagged: hetalia aph france england official art season 5 america china russia. This Hetalia photo might contain ڈاؤن لوڈ ہونے والے, مزاحیہ کتاب, منگا, کارٹون, ہالی ووڈ, and کامک بُک. I still can't even look at this. It makes my head hurt. If one more person says this style looks more like Himaruya's, I am going to slap the heck out of them.